Write an online review for Whistling Past the Graveyard on an online retailer (Amazon, Barnes and Noble, Books-a-Million or wherever you purchased your copy online), and enter the information in the form below. Easy and fun! One (1) winner will be drawn at random on August 1, 2013! 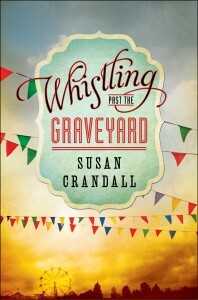 Don’t have a copy of Whistling Past the Graveyard yet?